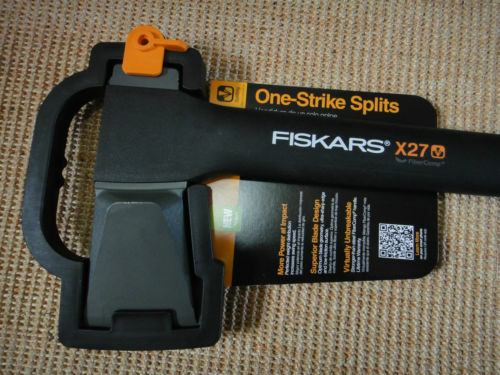 Fiskars X27 review - does it match the hype? The Fiskars X27 Super Splitting Axe (36″) is just the axe to use to split a batch of logs into firewood, particularly if you are on the tall side. The 36 inch handle allows you to apply more force with each swing that what an equivalent amount of effort with a shorter handle would give you. Also, the FiberComp handle can be likened to an aluminum baseball bat as it is lighter than wood, but stronger, and allows you to swing harder and faster with the same amount of effort. 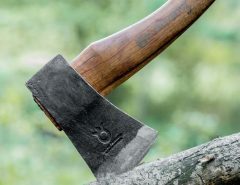 One of the best things about this axe, is the price. 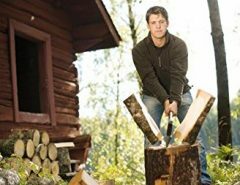 The handle has a non-slip grip at the end as well as a vibration-absorbing chamber, so that you don’t feel every wood fiber giving way as you chop. 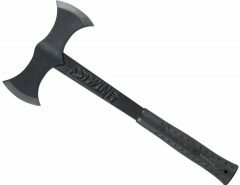 Because the handle is lightweight, the entire axe weighs in at less than nine pounds. 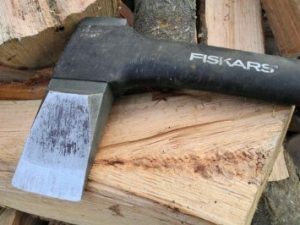 Fiskars is known for its high-quality blades and this axe is no exception. The blade is made of hardened forged steel and it maintains its edge better than many other blades. 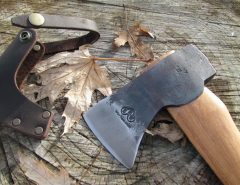 It has a low-friction coating on the surface, which makes it glide through wood more easily than a traditional axe blade. The blade shape is unique as well. While at first blush it does not look that unusual, the broad side of the blade is beveled toward the edges. 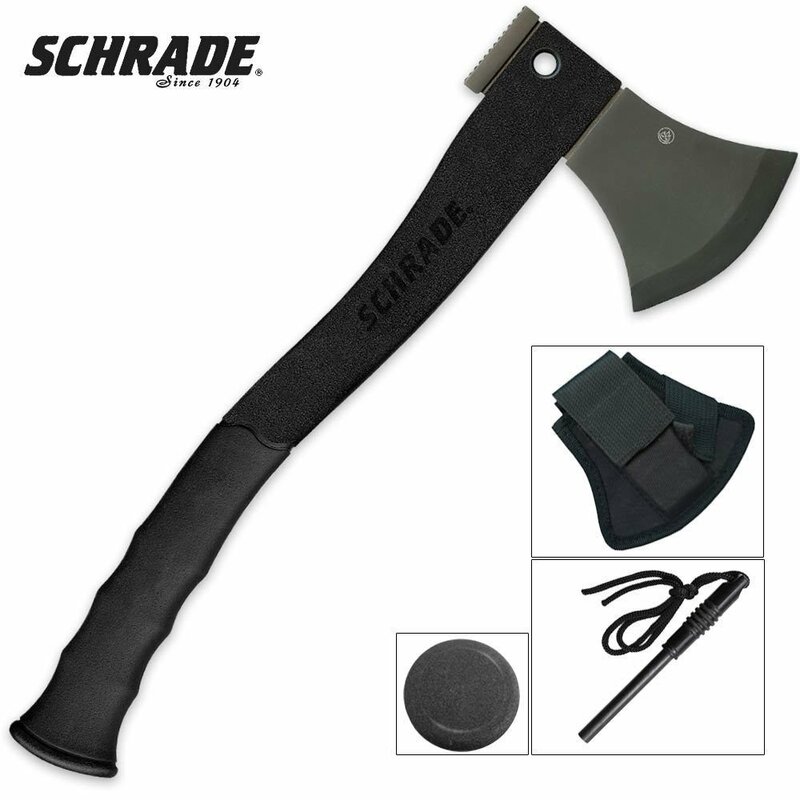 The combination of the shape, the low-friction coating and the extra-sharp edge mean that you get more one stroke splits with this axe than with others. How easily does it split wood? How strong is this axe? 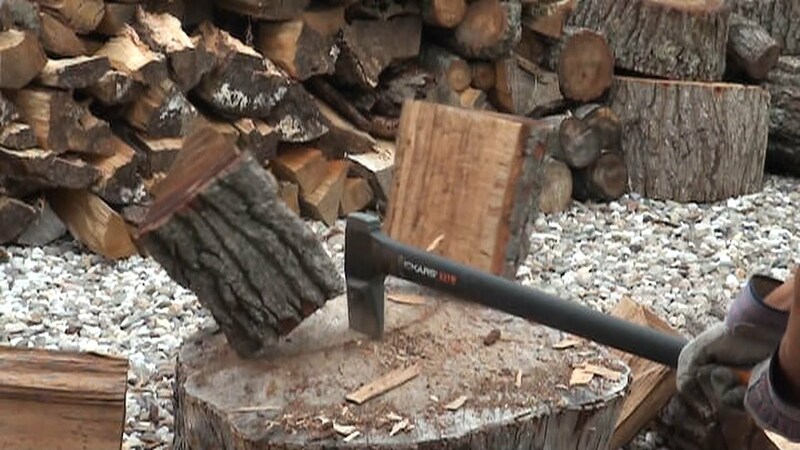 The reality is that no two axes, even those that are the same brand, feel quite the same to those who use them often. You get to know the “sweet spot” to place your hands so they remain as comfortable as possible while you are working, or how high you have to lift it to get the power you need. 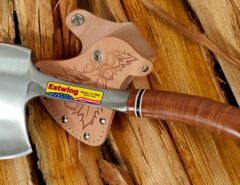 That means you don’t want your favorite axe breaking if you happen to strike your target wood with the handle instead of the head. You don’t want the head shattering or flying off if you hit something hard inside the wood. 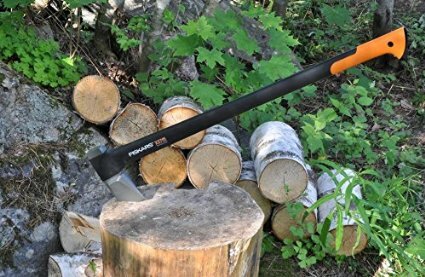 The Fiskars X27 Super Splitting Axe is one of the most durable axes available today, despite its lightweight design. The head is over-molded so the blade cannot be separated from the handle. The handle is virtually impossible to break. 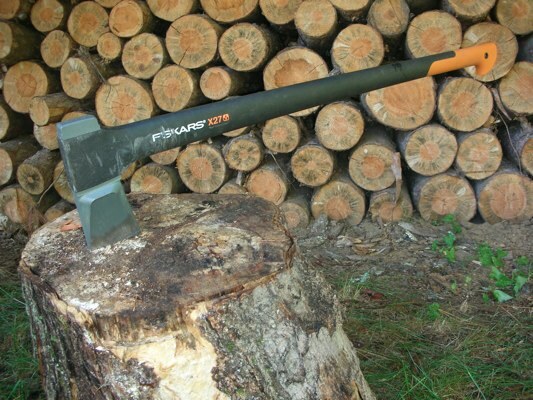 If you like this axe, you can be assured you will have it for life. The Fiskars X27 is neither the least or most expensive axe of its type, but since you will never need another, it is a real bargain. Find the latest price here.